Ruben's Baseball: Baseball dead in Calgary? So go the rumours. And looking out the window today seeing an unwelcome snowstorm serves as a reminder that this is a hockey first – if not hockey only – town. The Vipers folding at the end of last season helped create the perfect storm (yes, pun definitely intended) for any casual fan to believe that there is no baseball left in Calgary. But this excellent article by the Calgary Herald's Scott Cruickshank articulates splendidly why this isn't so. It includes the viewpoints of most of the city's baseball movers and shakers. 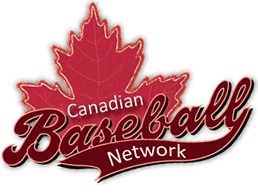 This includes the heads of several local programs, including Pro Baseball Force, FMBA, Babe Ruth, NSA, U of C, Little League, Okotoks Dawgs, and more. Calgary has had several local players drafted into the MLB and there will be more soon. 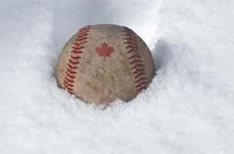 Those who think that baseball is exclusively an American sport, check out Diamonds of the North or Bob Elliott's "The Northern Game: Baseball the Canadian Way" for a Canadian perspective of the game.